Garage: "Garage: No Garage, RV Parking; Parking Space(s): 10"
Lot Size: 5.12 acres n/a "Rectangular"
Looking for a small acreage with no renovations to do to the house? Come take a look at 510-3rd Ave in Bangor.You will be so surprised with the major updates and renovations done to this home. Everything has been done from top to bottom. Entire second storey has been added providing 3 bedrooms on the 2nd floor with a 4 pc main bath. Making it more than just an ordinary bathroom, the 6 ft jacuzzi soaker tub accented with tile tub surround, new toilet, sink and vanity complete with linen/storage space adds those special touches you don't often see. Main floor:entering from the West entrance, your eye travels directly forward to the dark maple IKEA cabinets with tile counter tops and stunning back splash. Again, totally unexpected and stunning appeal to this acreage home. The centre island will certainly come in handy for extra prep space and serving area. All appliances are included: fridge, NG stove, hood fan.You will enjoy the spacious foyer with built in counter/cabinets for the laundry area. One bedroom on the main floor as well which makes this home a 4 bedroom/2 bathroom home! Livingroom area is open concept to the dining and kitchen where you will find nothing but comfort with all the natural light from the 9 ft South facing patio doors and NG stove for that extra heat and comfort. Main floor completely renovated 4 pc bathroom is close to the back foyer for easy access when one is busying around the yard.You also have an East doorway leading to a storage room/back foyer area-perfect for that extra fridge or freezer. Don't let the year of this home turn you away as everything has been replaced in this character home.From insulation, gyproc, flooring, paint, windows, doors, side decks, siding, shingles, soffits, fascia and eaves and electrical, this little gem has it all and all the updates have been done and completed by a certified contractor. Septic system with lagoon. Make the call. 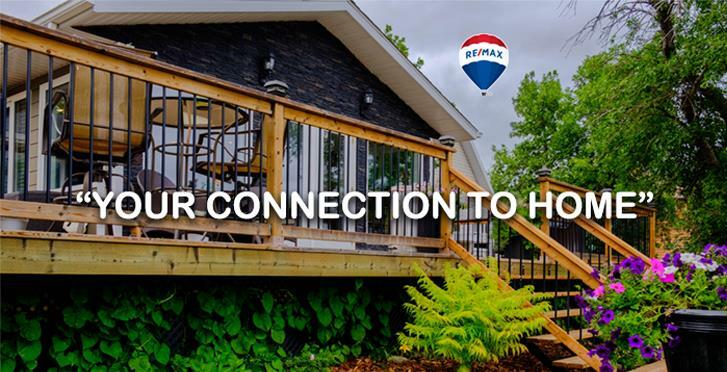 Call Nancy Johnson, "YOUR CONNECTION TO HOME" to book your personal viewing.